Just as its name implies, baking soda is great for baking since it reacts with an acid to create an airy, spongy texture. (This is why baking soda, an alkali, is combined with cream of tartar, an acid, to make baking powder.) Washing soda, on the other hand, is great for cleaning since it consumes twice as much acid as baking soda. It is too caustic, however, for baking. 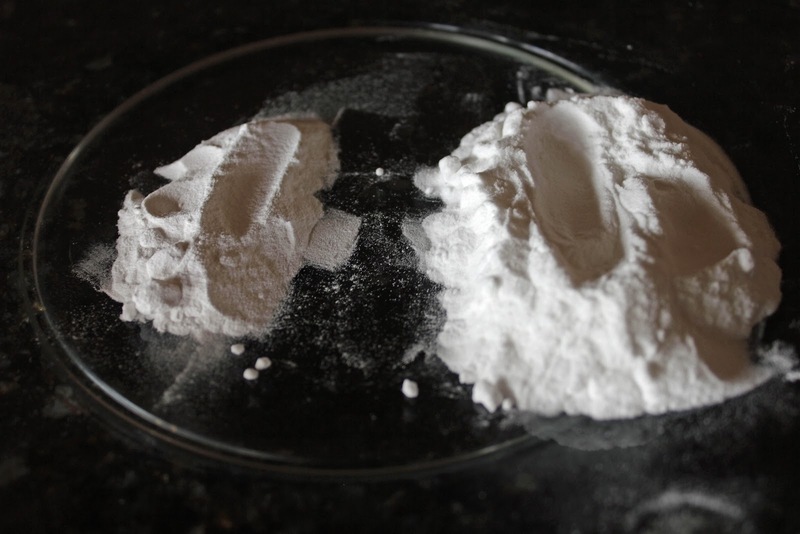 Since the two are closely linked, it's possible to transform baking soda into washing soda simply by heating it. The heat causes the baking soda to release steam and carbon dioxide, leaving a more alkaline substance behind in the form of washing soda. Since washing soda is not as readily available as baking soda, it may be simpler to make your own. 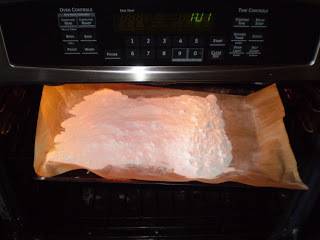 Spread an ample amount of baking soda on a cookie sheet or any other baking pan. Line the cookie sheet with parchment paper, if desired, to make it easier to pour the finished product. Heat in the oven at 400 degrees. Remove the pan after approximately 30 minutes and allow to cool. Transfer to a suitable container. Voilà: washing soda! You'll notice the powder has become grainy and more crystalline. In the photo below, the washing soda is on the left and the baking soda on the right. If you're not sure if the process worked and can't see the difference, try tasting both. You'll know right away! For suggested uses for washing soda, see our Natural Year Challenge: Household Edition.